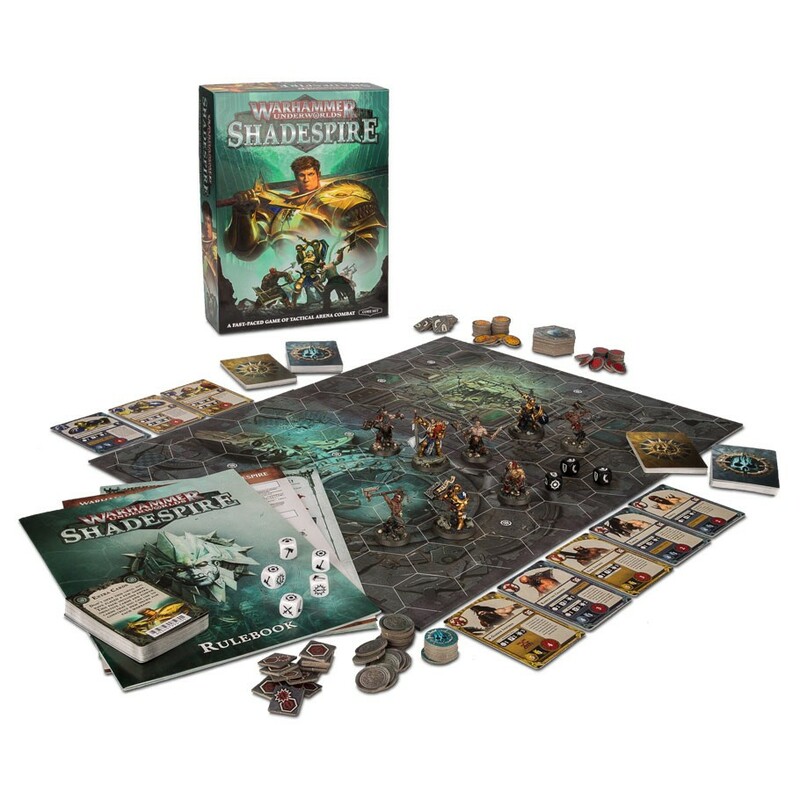 ACD Distribution Newsline: Shadespire Organised Play Kits coming soon from Games Workshop! Shadespire Organised Play Kits coming soon from Games Workshop! The Warhammer Underworlds: Shadespire Organised Play packs, all the resources to easily promote and run games, leagues and tournaments in your shop. A fast, tactically exciting, arena combat game. The Core Game box set allows 2-player games. Based around building the best deck of power and objective cards, players try to out-think and out-fight their opponent. Low price point game in a box, that will appeal to a broad range of customers, including those that do not currently buy GW products, but like these types of games. Space Base & Istanbul Dice! New from Alderac! Everdell & Nemo's War! New from Game Salute! Rising Sun & Expansions! New from CMON! New Starfinder & Pathfinder Releases from Paizo! Outpost: Amazon! New from IDW Games! Castell! Coming soon from Renegade Game Studios! 13th Age: Fire & Faith! New from Pelgrane Press! Invisible Sun! New from Monte Cooke Games!